Sujet du message: Comex clôture et Squeeze sur le silver? 18$ est la zone de résistance ... passera ou pas? Si oui, aura-t-on une envolée du cours vers 20$? James Turk Warns Massive Short Squeeze May Send Silver To $20 Within Days! Today James Turk told King World News that a massive short squeeze in the silver market may occur within days! 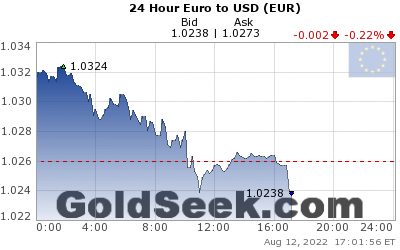 On one side are the market manipulators that are acting under government and central bank instructions — frantically trying to cap precious metals prices. 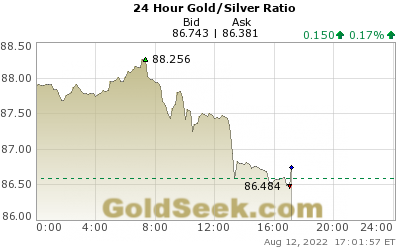 On the other side are the free market forces who have been accumulating physical silver. It is worth noting that the silver price has risen a remarkable eight consecutive weeks. That’s a rare event, and this has occurred even though the US dollar has been generally strong during this period. The line in the sand is $18 per ounce, and the skirmishes have already begun. Silver first touched $18 back on February 10, but since then the market manipulators keep pushing silver back below this price. The important point – which highlights why the shorts are vulnerable in this approaching battle – is that they are fighting with paper, not physical metal. Spot silver is backwardated at 2¢ over March, even though delivery on the March contract is just a few days away. Here’s another startling statistic. Silver open interest on the Comex rose 5,000 contracts on Thursday, the latest day available. That pushed total open interest to over 204,000 contracts. Given that each contract represents 5,000 ounces, the total short position is over 1 billion ounces, and that is just the Comex. The really big positions are taken in the over-the-counter market here in London. So the total short position is a multiple of the Comex short position. Now let’s put that multi-billion ounce short position into perspective. There are only 880 million ounces of silver newly mined in a year. If the short position in an agricultural market were this unbalanced relative to annual production, the CFTC would be going bananas and likely forcing shorts to unwind positions in order to reduce the likelihood of a short squeeze. So where are the regulators in silver? They are turning a blind eye, which is one of the reasons this epic battle is looming. Will It Go Wrong For The Silver Shorts This Week? But why am I saying we should watch for it this week? Because it is option expiry week, which starts with the Comex this Thursday and continues to Monday on the over-the-counter market. A few weeks ago I laid out in advance how the February gold options would play out. Normally, the March silver options would go off the board the same way, with the low price this week on Thursday morning below $18. In that way, the shorts benefit because the $18 options and everything above that price expire worthless, giving the shorts the entire premium received when they wrote the option. However, there is a good possibility it goes wrong for the shorts this week. The reason is that option writers use delta hedging, which works okay in a normal, quiet market, but can lead to a price spike if a market turns volatile. I don’t want to make it complicated, but an example can illustrate why the shorts are vulnerable. Let’s assume an option writer calculates that there is a 10% probability that the option he sold will be exercised. So he has a long position equal to that 10%. But as the price of the underlying item rises, so does the probability of his option being exercised, forcing him to buy more to remain delta hedged. In effect, a volatile market leads to more buying and can cause a short squeeze. Right now, I think the potential for an epic shot squeeze in silver exists. I don’t want to underestimate the power of the market manipulators, having seen them pull off near miraculous market events many times in the past, but I think the odds are at least 50% that this time they cannot hold the line at $18. So everybody should be alert to the possibility of upside fireworks this week. $20 Silver In A Heartbeat? If we do get those fireworks, the following chart shows that silver would hurdle above a multi-month downtrend. Doing that means we could get $20 silver in a heartbeat. Sooner or later market manipulators always have their heads handed to them. Governments or even groups of governments are a powerful force, but never big enough to overpower forever free markets and peoples’ will to act. This is why people need to be aware of the possibility of some serious short-term fireworks in the silver market. WASHINGTON – U.S. Treasury Secretary Steven Mnuchin spoke by phone today with Christine Lagarde, Managing Director of the International Monetary Fund (IMF). In his conversation with Madame Lagarde, Secretary Mnuchin welcomed the key role the IMF plays in promoting global economic growth and stability and in preventing and responding to economic crisis. He noted the importance the Administration places on boosting economic growth and jobs in the United States, and looked forward to robust IMF economic policy advice on its member countries and tackling global imbalances. Secretary Mnuchin also underscored his expectation that the IMF provide frank and candid analysis of the exchange rate policies of IMF member countries.